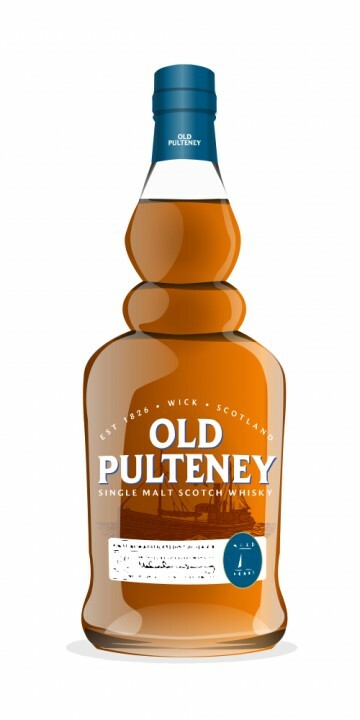 The Old Pulteney 35 Year Old was released a few weeks ago. It matured on bourbon and sherry casks that were selected by distillery manager Malcolm Waring himself. It is a limited edition of 450 bottles. Very fruity and aromatic nose. I can smell it before even putting my nose in the glass. Pineapple in its own juice, mandarin and a touch of gooseberry. The whole is sprinkled with soft spices like cinnamon and vanilla. A touch of mint and a handful of nuts. After a few moments a hint of mocha appears. It also has something ‘dusty’, if you know what I mean. This is nice, soft and mouth watering. It is gentle and oily on the palate. Mouth coating. The spices are a bit louder now (and nutmeg joins the fray) while the fruit concentrates on citrus. Next to the mandarin some blood oranges appear. Rum raisins, some chocolate. And then suddenly it turns dry. Leather and sniffing tobacco. Midpalate it also gets a nice salty edge. In the medium to long finish, this Pulteney proves that it is a tightrope walker. Great balance between the sweet fruit on the one hand and the mildly drying tannins on the other. Without a doubt the best Old Pulteney I have tasted so far. It will set you back around 650 EUR, tough.